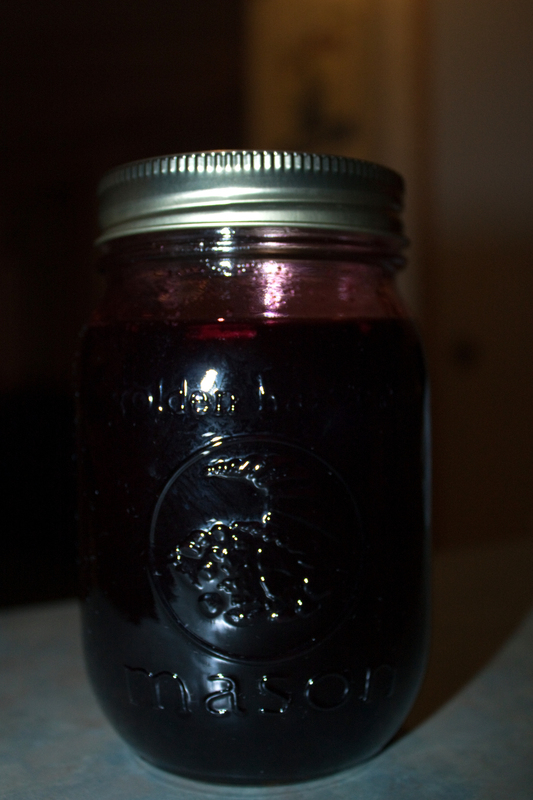 Jelly that I made out of the Fox Grapes that Dusty and I picked Sunday…. Personally it is my favorite so far. Not to mention purty! 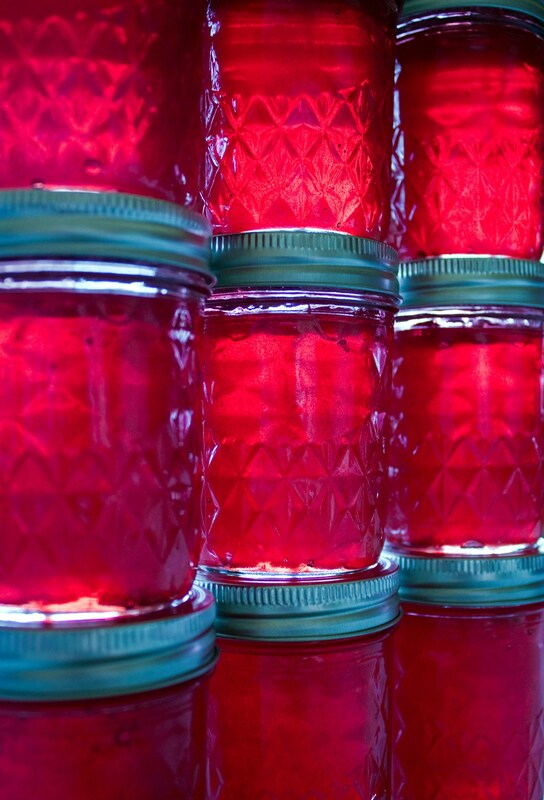 Today was a canning day… 6 jars of Pear Butter, 10 Jars of Mexican Plum Jelly, 20 jars of Pear Jelly…. 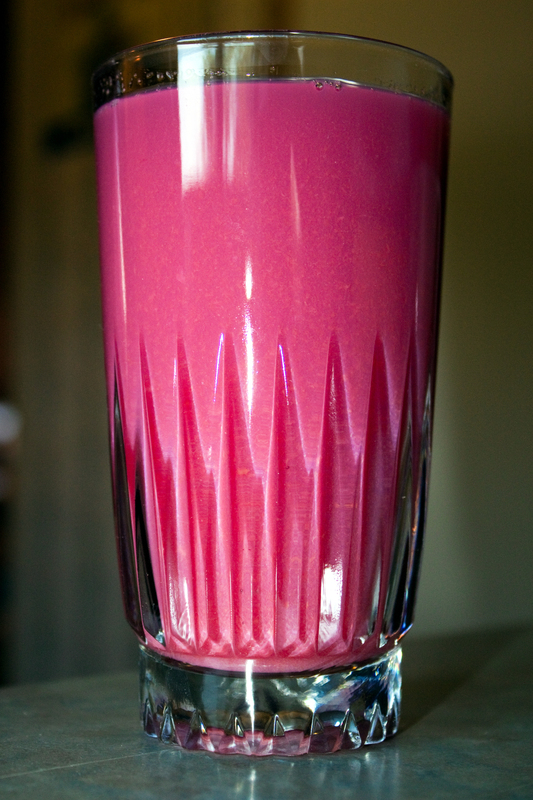 Ran out of sugar or would have made more of the Mexican Plum… Productive day overall I would say though! THEN to make a good day great, my man grilled up some steak, shrimp, and brats for dinner – DEEELISH!!! I’m thinking this has got to be pretty close to heaven! Not sure if I am a glutton for punishment or what, but I tackled another bag of apples today… It went much smoother this time! 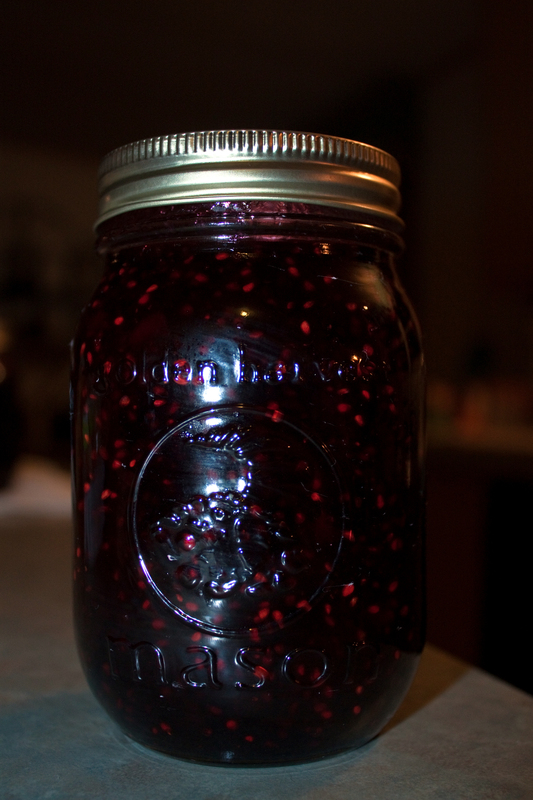 Made pie filling… Takes 2 quarts to make a pie, and will be keeping every last one! 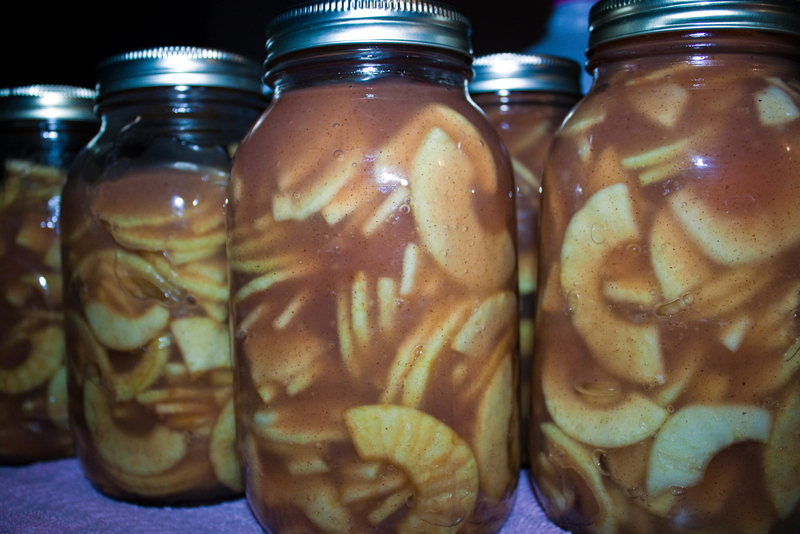 Canning, Crab Apples, Nowata, Nowata County, Oklahoma, Random, WTF? Linda chose the name for today’s post…. 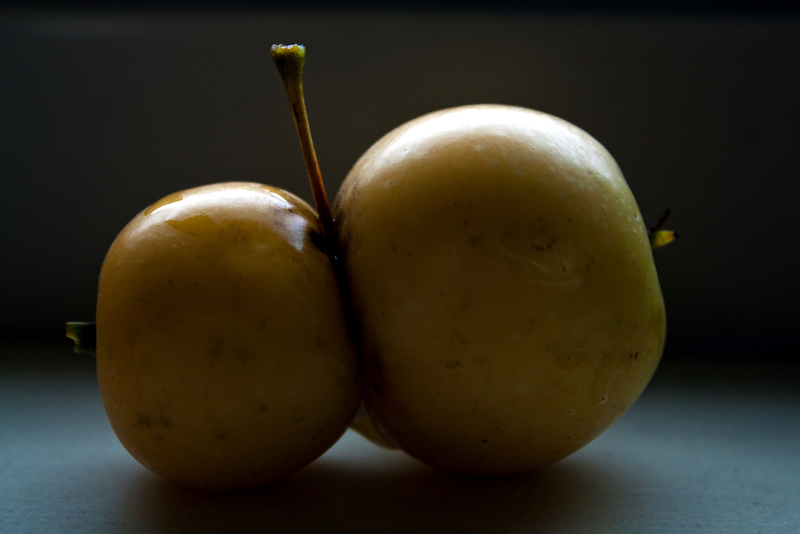 Mutant crab apple…. 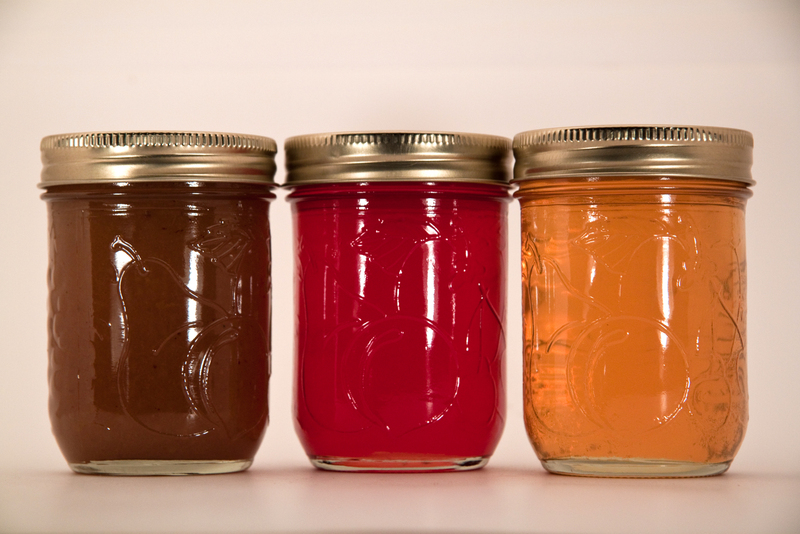 We went and picked a passel of today, then spent the afternoon together cooking them up making juice and pulp for jelly and either applesauce or apple butter. It was a really fun day! Thanks Linda! 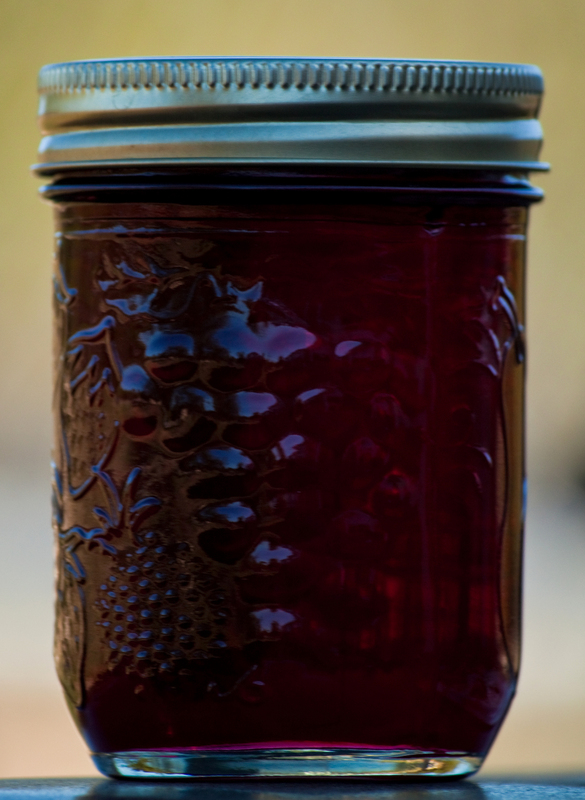 Oklahoma Sand Plum Jelly… Purty ain’t it? 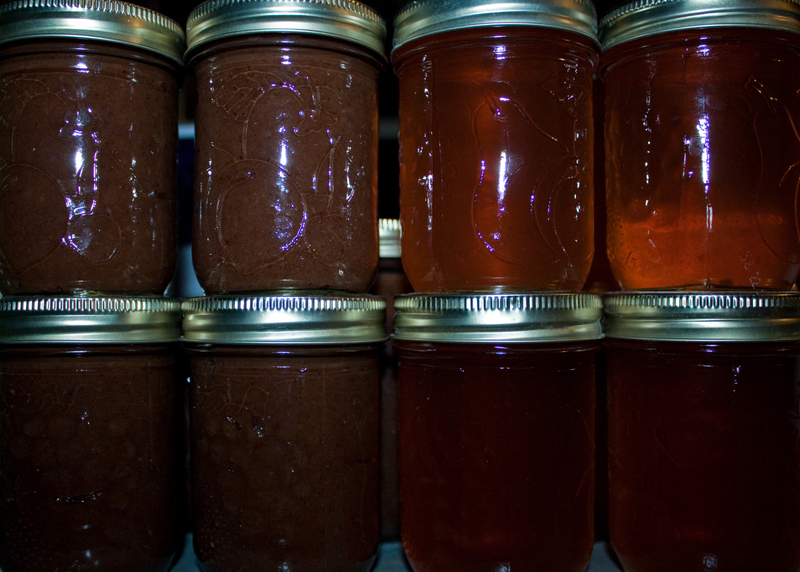 Canning, Nowata, Nowata County, Oklahoma, Random, Sand Plums, WTF?